The wide range of jobs available in tax regulation makes it a field fit for people of varying professional backgrounds. Local, state and federal tax laws affect everyone who receives a paycheck. Their breadth and depth have created, and will continue to create, a great deal of work in several industries. Here are a few broad areas of employment that fall under the tax regulation umbrella in one way or another. In short, politics is the study of who gets what, when and how. 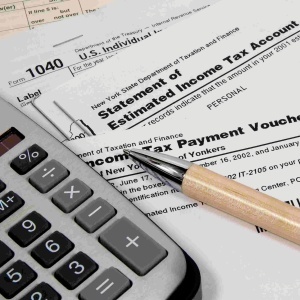 Tax law determines how much of your “what”—that is, your income—state, local and federal governments are permitted to withhold from your paycheck. Legislators write, pass and amend the tax law, but you need not be elected to public office to have a say in their passage or the strictures they impose. Lobbyists attempt to persuade officials and staffers at all levels of government, representing either their own interests or, more frequently, the interests of a particular industry or interest group. Finding a job in lobbying does not require any specific type of professional or academic background, making it an appealing choice for social science or humanities students who are concerned about not being able to secure employment after graduating from college. Legislators, many of whom are lawyers or were lawyers earlier in their professional lives, codify tax regulations. It is then left to tax lawyers to interpret these regulations and ensure compliance with them. Criminal tax controversies are often handled by United States attorneys, district attorneys, prosecutors and IRS staff attorneys, according to the IRS. They are not the only lawyers whose work involves tax matters, though. Attorneys at law firms and public accounting firms plan their clients’ business structures in ways that help minimize their income tax exposure in the United States and abroad. Accountants analyze individuals’ and firms’ financial documents to ensure that they comport with generally accepted accounting principles, as well as any applicable federal and state laws. Many accounting professionals also fill out tax returns for their clients, meaning they must stay abreast of developments in income tax laws and regulations. To complete a Bachelor of Science in Accounting, you will likely be required to complete courses in financial accounting, managerial accounting, federal income taxation of individuals, taxations of corporations and partnerships, business law, microeconomics, macroeconomics, statistical methods, and corporate finance. Many large professional services firms hire management consultants whose work focuses almost exclusively on income tax-related issues. The Big 4 accounting firms are the most visible such employers, and they also routinely make lists of best places to work and best places to start a career. Their desirability allows them to be extremely selective when choosing applicants to fill any vacancies they may have, so be sure to keep your grades up, participate in plenty of extracurricular activities and schedule plenty of practice interviews. It is not often that the law becomes less complex, so this industry promises to continue its growth well into the future. Jobs available in tax regulation offer a little something for everyone.